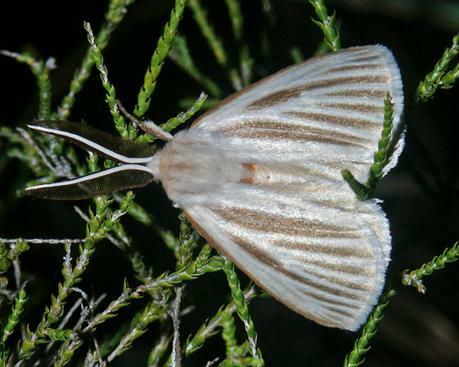 The female adult moth of this species is basically white. The male has a number of incomplete pale brown lines running to the margin of each wing. The wingspan is about 4 cms. Moths of Australia, Melbourne University Press, 1990, fig. 40.2, p. 395.